Complaining About the Cold, Are We? A Loyal Reader passed on this fabulous shot by John McColgan. 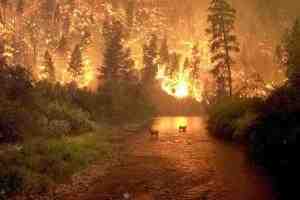 He is a "fire behaviour analyst" from Fairbanks who was working in the Bitterroot on August 6th when he captured this scene with his digi-cam. Wow.